On October 15th 1910, a farm hand named Walter Dipley murdered world middleweight champion Stanley Ketchel with a bullet from a .22 rifle. The previous year Ketchel had given heavyweight champion Jack Johnson the fight of his life before being kayoed in the twelfth round. The ”Michigan Assassin” was one of the most high profile fighters in the world at the time. He was just 25 years old. In December 1970, the body of former world heavyweight champion Sonny Liston was found in his Las Vegas apartment. He had been dead for a week. 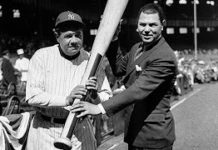 Sonny – who had played down his mob connections for most of his career – had never been a drug addict, and had a pathological fear of needles, yet he died from an apparent heroin overdose. Just five years earlier, Liston had been the most feared man in the heavyweight division, and had battled Muhammad Ali for the world heavyweight title. Scotland’s Benny Lynch had the potential to become the greatest flyweight in boxing history. In 1937, he was a word champion. Just nine years later, he was dead. Lynch´s love affair with the bottle ruined a brilliant boxing career, and led to his premature death from malnutrition in 1946. Just three tragic cases in a sport that is littered with them. By their own definition, professional boxers are volatile, self destructive creatures. What other profession invites others to punch them in the head on a regular basis? Thier backgrounds are usually bleak. Often despite the fame and riches they achieve in the ring, they never really escape the nightmares of their early existence. The history of boxing is littered with tragic cases of ring death´s and suicides. Legendary fighters like Carlos Monzon, Freddie Mills and Randollph Turpin achieved greatness in the ring, yet ended their lives in disturbing circumstances. Only last year, boxing fans were greeted with the apparent suicides of modern boxing greats Alexis Arguello and Arturo Gatti, plus the cold blooded murder of Vernon Forest. Nothing, however could have prepared us for the terrible events that were to come our way last month. I knew, as soon as I read that Edwin Valero had crossed the ultimate line and stabbed his beautiful young wife to death in a hotel room in Valencia, Venezuela, that this once proud, exciting warrior was living on borrowed time, and would one day take his own life. But I never thought it would happen so soon. Just hours after killing his wife, Edwin Valero was dead, hanging by his neck in a police holding cell, his sweatpants used as a makeshift noose. The revelations soon appeared; in the weeks leading up to her murder, his 24 year old wife Jennifer had told her parents that Valero had been living an almost vampirish existence – eating nothing, drinking constantly, snorting copious amounts of cocaine and never sleeping. It was also revealed that the 28 year old Valero had a history of depression, and had battled alcoholism and drug addiction for years, and yet he still managed to become a two weight world champion, an undefeated fighter with a unique, 100% knockout ratio that he will now keep forever. 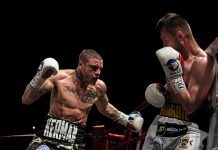 And yet technically, as a boxer, Valero was a disaster – no jab, no defence, no combinations, just haymaker after haymaker, and all the while his chin in the air. He won his first eighteen fights on first round knockouts. Nine of his victims in that streak had winning records. 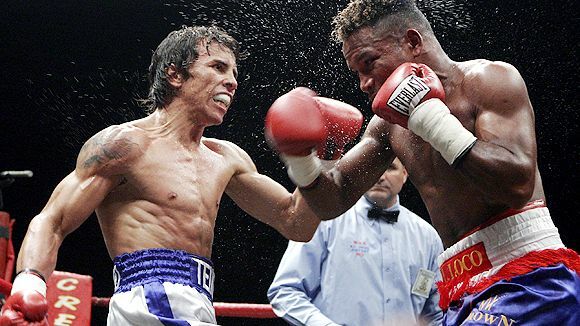 His eleventh victim, Alejandro Heredia, was unbeaten in eight fights. 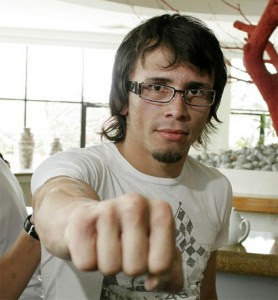 His eighteenth, Whyber Garcia, was fighting in a WBA title eliminator. This wasn’t a manufactured streak – it was what it was, a savage fighter scoring eighteen consecutive first round knockouts. 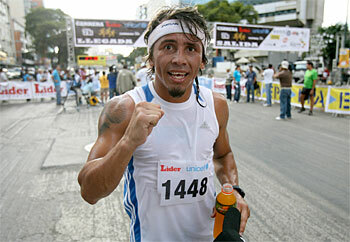 Valero won the WBA junior lightweight title with a tenth round knockout of Vincente Mosquera in June 2006. Mosquera was down twice in the first, Valero was down himself in the third. That was the first of eight consecutive title fights Valero would have over the next three and a half years. He would win them all on knockout. In interviews, Valero looked more like a University student than a fighter. He often wore glasses, and spoke softly and articulately with respect for his opponents. His face was open and honest. In fact, he appeared to bare not the slightest similarity to the fearsome undefeated slugger he became in the ring. Here was a guy who could feasibly have been fighting Manny Pacquiao for a lottery jackpot sized purse within a year, but he was tarnishing his reputation with the public. How little Valero cared about his career, money, his reputation and ultimately himself, became terribly clear in a short space of time. I am convinced that he loved his wife, the mother of his two children, but the love he felt for her was an awful, possessive, desperate love. Jennifer was reportedly admitted to hospital with broken ribs and a punctured lung. A restraining order was placed on Valero. But just two weeks later, he tracked her to the hotel room she was staying in. After killing her, Valero handed himself in to the authorities. Alone in his cell with only the growing dread and realization of what he had done as company, Valero took what was for him the only option, and hanged himself, completing the single most awful, desperately tragic chapter in boxing´s sometimes glorious but always haunted history. Next articleKessler beats Froch in a Super Six Classic!